Entry filed under: - Klein -, History of Economic and Management Thought, Methods/Methodology/Theory of Science, Myths and Realities, People, Public Policy / Political Economy. Good round-up, including link to the great paper by sam peltzman. I also found Tirole’s book to be terse and smug when studying it at ANU in 1990. Thank you, Peter. I knew you’d be weighing in, and I’m glad you called a spade a shovel about the level of abstraction and the snide comments Tirole makes in his book (which has never, to my knowledge, come out in a second edition). I bought it a few years ago and tried to read it on my own, but then I found out I could get a root canal without anesthesia instead. I opted for that because it was less painful and the headache afterwards went away much faster. 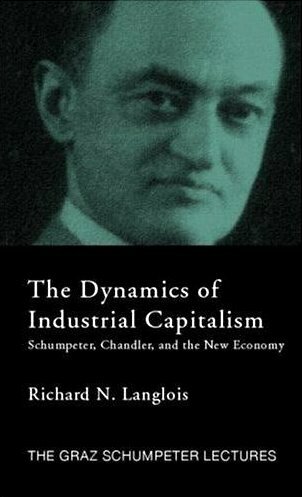 FWIW, I much preferred the third edition of Mike Scherer’s book (‘Industrial Market Structure and Economic Performance,’ which added co-author David Ross). However, that one came out of the old S-C-P paradigm, which, despite the fact that it’s static, I like and use as an organizing tool inside an industry analysis. I’ll take it on faith that a game-theoretic approach to IO is an improvement for regulatory use, as you noted. I still wonder, though, about its utility in an industry (or strategic-group) analysis. Any thoughts about that? But speaking of economists–and this IS off-topic–I remember Henry Mintzberg’s hilarious off-the-cuff comment at the Doctoral Consortium in strategic management at the 1986 Academy of Management meeting in Chicago. Responding to a question about the growing influence of economics and the increasing presence of economists in the strategy field, he held forth as to why he thought that was the case (greater rigor, economists looking to spread their reach and influence, etc.). Then he said: “Remember this: You can relax the assumptions. . .but you can NEVER relax the economists!” The twenty or so of us there dissolved in a gale of laughter. Laws perverts … and regulations cannot be balanced, ie you cannot issue laws that would be beneficial to a free-market ecosystem and at the same time having stringent state regulation against monopolies. Hi, Warren. Peter invited me to reply to your comment, so I’ll try to offer a defense of formal economic modeling. The same general principle is true of theoretical work as well. I can’t think of any formal modeler who has gained fame merely by sharpening the precision of an existing verbal theory. Such minor contributions, if they get published at all, are barely noticed and quickly forgotten. A formal model only has real impact when it generates some valuable new insight. As with empirics, the insight is what really matters, not the precision. So, the relevant question should be: Does formal modeling generate valuable new insights? And if so, where and how? I am aware of some ways in which formal modeling can help a theorist generate new insights. I would never say that formal modeling is absolutely necessary for generating any particular theoretical insight. Nor would I ever say that any particular insight could not be generated through verbal theorizing. Nevertheless, there are some kinds of theoretical insights that are just easier to see with the aid of a formal model. By analogy, you can, at least in principle, chop down any tree with just an axe, but there are some trees for which you would really much rather have a chainsaw, as a matter of convenience. I once heard an obstetrician convince an expectant mother to accept an epidural anesthetic by saying that it’s just a modern convenience, like air conditioning in the Atlanta summer. You can certainly survive without such modern conveniences, but why not use them if they’re readily available? That’s roughly how I think about formal modeling — just a helpful modern convenience. 1.) Decomposing an effect into separate parts that may sometimes oppose each other — e.g., direct and indirect effects, or intended and unintended effects. For example, in economics, the effect of a change in the price of a good on the quantity of that good demanded is decomposed into two separate parts — the substitution effect (a fairly direct effect) and the income effect (a somewhat indirect effect). In most situations — i.e., for “normal goods” — these two components of the effect move in the same direction, but sometimes — i.e., for “Giffen goods” — they move in opposite directions. It’s just easier to understand this kind of decomposition with the aid of a little math. I suppose that one could envision the possibility of a Giffen good without a formal model, but I imagine that it would be a lot harder. An example of this sort of decomposition in the strategy field is in my 2013 SMJ article with David Ross, where we decompose the effect of product differentiation on profit into separate parts — a competitive-advantage effect and a rivalry-restraint effect. Sometimes these two parts move in the same direction, and sometimes in opposite directions. The math in our model helps to clarify when each part is strengthened or weakened, when they oppose each other, and when one might overwhelm the other. Could these results have been generated via verbal theorizing? In principle, I suppose so, but I think it would have been a lot harder — and I certainly could never have done it. without a formal model, a theorist might never even think of the possibility that C, D, and E could have an effect on the relationship between A and B. But such unanticipated interactions may just naturally drop out of a formal model, without even looking for them. In this regard, a formal model may even suggest new insights that the theorist had not previously contemplated. For example, a basic agency-theoretic model in economics (e.g., Grossman & Hart, 1983 Econometrica) is about the main effect of performance-based incentives motivating behavior from an agent that is more consistent with the principal’s interests. But how is this main effect altered when the agent’s assigned tasks differ in their measurability? And how does such an interaction effect influence the division of labor among different agents? While a formal model may not be absolutely required to answer these interaction-effect questions, the one developed by Holmstrom & Milgrom (1991 JLEO) sure helps a lot. Likewise, in the strategy field, I have often used formal models to hypothesize interaction effects on profit that would have been difficult (at least for me) to envision otherwise. My 2001 SMJ article finds that there is a negative interaction effect between the profitability of information-based advantages and the profitability of deployment-based advantages. My 2003 SMJ article finds a positive interaction effect between the profitability of skills and the profitability of motivation. My 2010 Management Science article finds a negative interaction effect between the profitability of competitive advantage and the profitability of rivalry restraint. I suppose that, in principle, someone else might have been able to envision these results without relying on a formal model, but I definitely could not have. In extreme cases, if an interaction effect is particularly severe, it can completely overwhelm the main effect. For example, A may ordinarily increase B, but if A and C have a negative interaction effect on B, then it is possible that a sufficiently large value of C may totally erase the effect of A on B, or perhaps even reverse the ordinary effect of A on B so that A actually decreases B. We often call this a “boundary condition” of the positive effect of A on B (i.e., C must be sufficiently low). In this regard, Peter is correct that one benefit of formal modeling is “bringing to light the hidden assumptions of the old-fashioned, verbal models” — insofar as a “hidden assumption” is just an unrecognized boundary condition. However, that is only half of the story. A formal model not only can identify the boundary condition, but it can also make predictions about what happens when the boundary condition gets violated. In economics, there are many examples of such boundary conditions being identified through formal modeling. For instance, consider Bertrand’s response to Cournot oligopoly — i.e., two firms can be sufficient to eliminate all profit from an industry if their behavior toward each other is sufficiently aggressive. Likewise, Akerlof shows that asymmetric information can be a boundary condition on the ability of markets to improve welfare. Were the formal models absolutely essential to achieving these insights about boundary conditions? Maybe not. But do the formal models help an awful lot in visualizing and explaining these boundary conditions? Certainly. In the strategy field, a formal model by Luis Cabral & Miguel Villas-Boas (2005 Management Science) demonstrates a boundary condition on the idea that publicly-available synergies would increase the profit of firms in an industry, by showing that sometimes they can actually decrease firms’ profits. My own forthcoming SMJ paper, coauthored with Jens Schmidt and Thomas Keil, takes this boundary condition one step further by showing that even private, proprietary synergies can sometimes backfire and reduce profit. I cannot speak for Luis, Miguel, or my coauthors Jens and Thomas, but I know that I certainly could neither have envisioned nor anticipated this boundary condition without the tool of formal modeling. Anyway, that’s my defense of formal modeling as a research tool. For myself, I work really hard to make my formal modeling papers accessible to earthlings. I try to write them in a way that any reasonably intelligent MBA student could read them, skip over the math, and still get all of the main points. Unfortunately, most game theorists in the economics discipline and even some of the modelers in strategy do not share my philosophy about this. In my humble opinion, they do a disservice to themselves, their field, and their citation counts by neglecting this duty. Thanks for your interesting post and also for sharing how you reacted to the style of Tirole’s textbook. My own reaction was, as you may guess, quite the opposite, although there is no denying this text is demanding. But this makes me realize that differences in background play a large role in shaping taste and their role should not be taken for granted. One other thing: there is an entire chapter on regulatory capture in the Laffont-Tirole book, complete with references to the Chicago and public choice literatures.So it is a bit unfair to imply that Tirole, and by extension this entire stream of research, is naive about these matters. It is clearly not the case. Olivier, thanks, these are good points. You are right about the Laffont-Tirole text, which includes a nice discussion of political economy. I should have been more precise that I had Tirole 1988 in mind. I was also thinking about books like Ken Train’s Optimal Regulation, which I was also exposed to at Berkeley and which totally glosses over these kinds of issues. My concern is that away from the research frontier, the Tirole style of analysis has tended to downplay public choice concerns, but I may be overstating the case. Peter, it’s fair to say that issues of regulatory capture are not their main concern. I remember taking a contract theory class in a full fledged Laffont style, where capture was indeed mentioned as an aside but considered an advanced subject. Interestingly, my teacher at the time – who was absolutely outstanding – went on a few years later to take a position in the French antitrust agency. 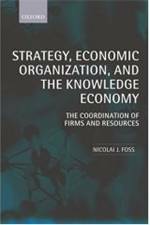 Tirole’s 1988 book’s biggest problem to me is organizational structure. The arrangement of topics just doesn’t seem that natural and certain ideas are presented in odd contexts. So the reader can neither easily follow it in order nor readily dip into it as a reference via the index. But there are lots of little exercises and examples, which is a plus. Tyler Cowen has a nice post about Tirole here. Lots of great links in it.